Chor der Wiener Staatsoper, Orchester der Wiener Staatsoper / Marco Armiliato. Wiener Staatsoper, Vienna, Austria. Friday, February 10th, 2017. 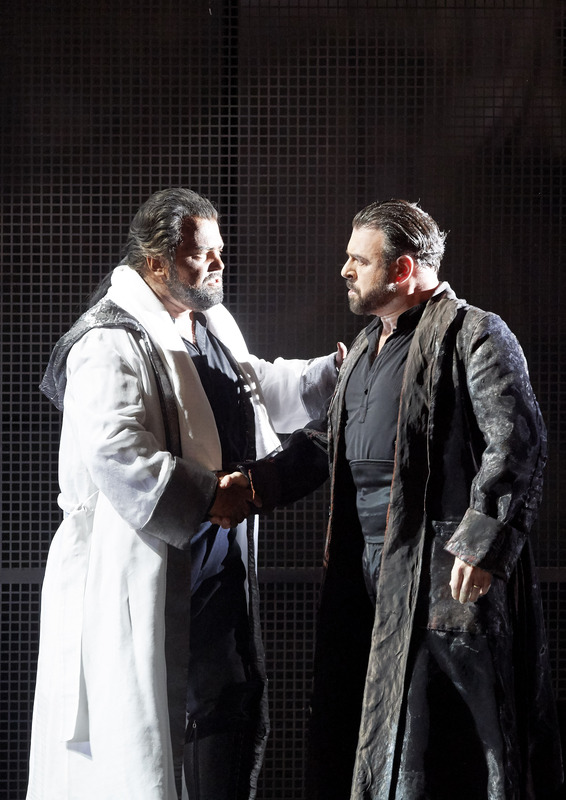 With winter in full swing and sub-zero temperatures in Vienna, it was perhaps not surprising that tonight’s Otello saw three changes to the originally-advertised cast. The most notable change was Véronique Gens withdrawing from her role debut as Desdemona due to illness. The thought of that aristocratically beautiful voice in the role is one I admit having looked forward to for three years. Still, these things happen, singers are human, especially so in the middle of a harsh Viennese winter. Tonight however, we were given an evening that showed the Wiener Staatsoper musically at its appreciable best. This performance was a revival of Christine Mielitz’s 2006 staging. The only other staging of hers that I had previously seen was a Parsifal also in Vienna. I must admit that what both seemed to have in common was that both are a bit of a mess. Certainly, it led one to wonder that within the framework of a brief revival such as this, whether the regie was given a similar attention to detail as it might have had when it was new. And yet it did feel that everyone was in the right place at the right time and we were given living, breathing performances from the entire cast. What felt lacking, however, was a cogent and logical narrative. The set (Christian Floeren) was a basic black box with bleachers at the sides and rear for the chorus and a central revolving platform that appeared to be Otello and Desdemona’s home. Video was projected on the back of the set with constantly moving images of clouds and in the Act 2 closing duet, images of boiling, blood-red waves. Yet for the opening of Act 3, the video was replaced by a still image which then disappeared only for the clouds to return for the ‘Ave Maria’ after which they were gone again. There were also a few moments in which characters imitated Otello’s gestures, but these were fleeting and served no purpose. Lighting also felt inconsistent with spotlights being projected into the eyes of the audience for no conceivable purpose as far as I could see. 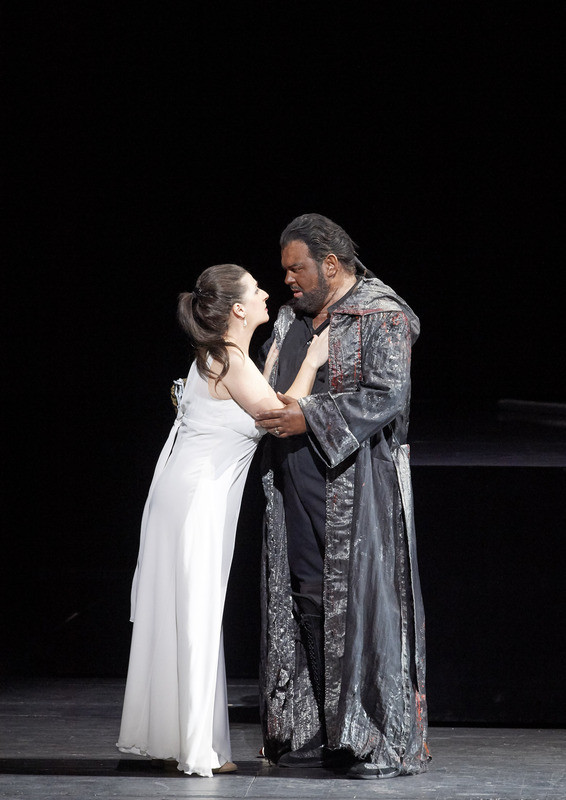 Everyone was clothed in black, while Desdemona was dressed in white, as were most of the children and Otello also sported a white coat at times, heavy-handedly symbolizing innocence. 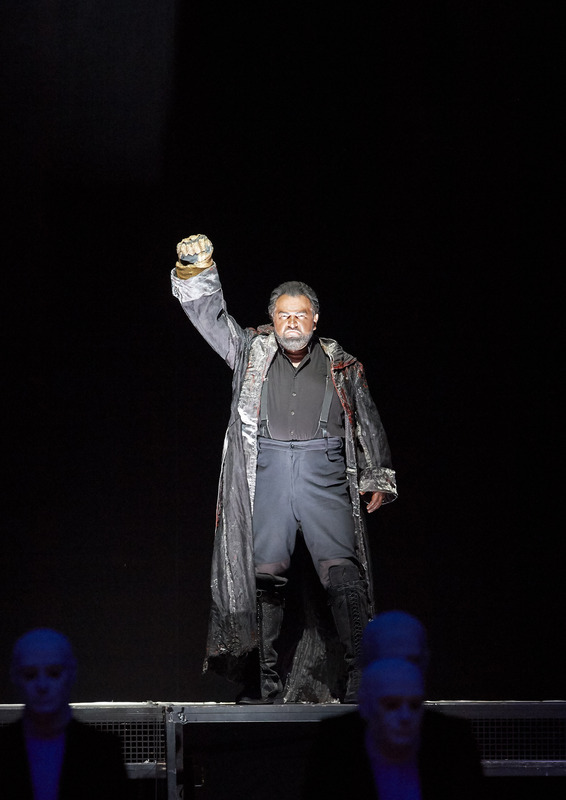 Worse was the fact that in the twenty-first century, Otello was portrayed in blackface. Surely, there are other ways to portray his ‘otherness’? Where tonight succeeded though was in the music and here the Wiener Staatsoper really did demonstrate why it is one of the world’s pre-eminent lyric theatres. Kristian Benedikt was a replacement for the originally-cast Peter Seiffert. 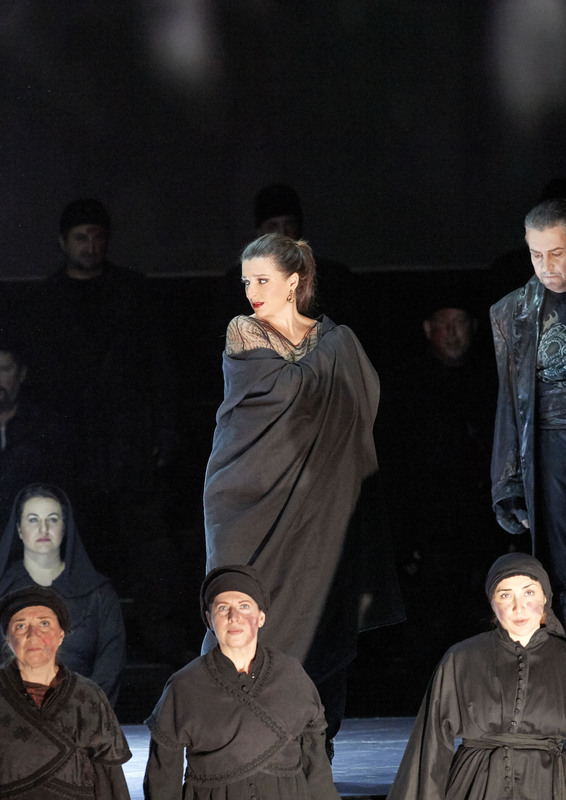 I had previously seen Benedikt’s Otello in the revelatory Bieito staging in Basel in 2014. It was interesting to see his development in the role. Back then, I found his singing in the love duet to lack discipline and a sense of line. Here, he made a real effort to sustain the line and shade the tone. Similarly in ‘dio mi potevi scagliar’, he sang with quiet frustration, building up gradually. He doesn’t have the clarion cutting power of other interpreters and he was often covered by the orchestra in full flow. His vocal production is interesting – the sound felt tight and throaty. It was, nevertheless, always deeply felt and honestly sung, no more so than in a final scene that was genuinely moving. Olga Beszmertna’s Desdemona was also sung with real feeling and dignity. Hers is a beautiful sound and she is able to shade it from silky smooth to double cream. Indeed, her use of vocal colour to echo the cor anglais in the willow song was masterful. She has a lovely legato and a beautifully-placed floated top. She does occasionally tend to sing slightly sharp and I had a nagging sense that the role is slightly large for her currently with the top becoming slightly strident at full volume. Make no mistake, however, Beszmertna is already a Desdemona of distinction. The red waves of anger in the video seemed at odds with Carlos Álvarez’ subtle, sophisticated Jago. He was absolutely superb. 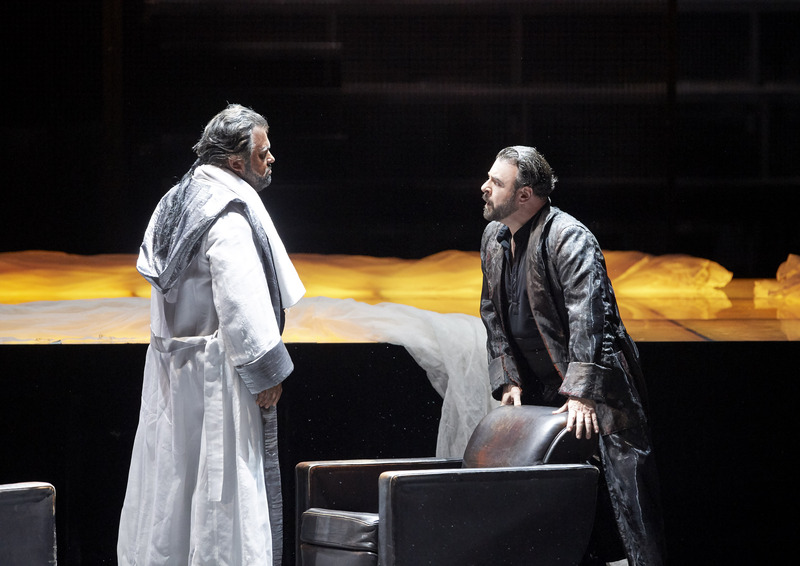 What distinguishes his portrayal is how reasonable he makes Jago seem, so that when he plots against Otello he is so convincing that one can completely understand how Otello can be led along by him. Álvarez is no cartoon villain but a convincing and complex creation, sung off the text. His baritone is absolutely even from top to bottom and his handsome tone makes him especially insinuating. Tonight Álvarez gave us a fully lived-in performance. The remainder of the cast reflected the exceptionally high standards of the house. 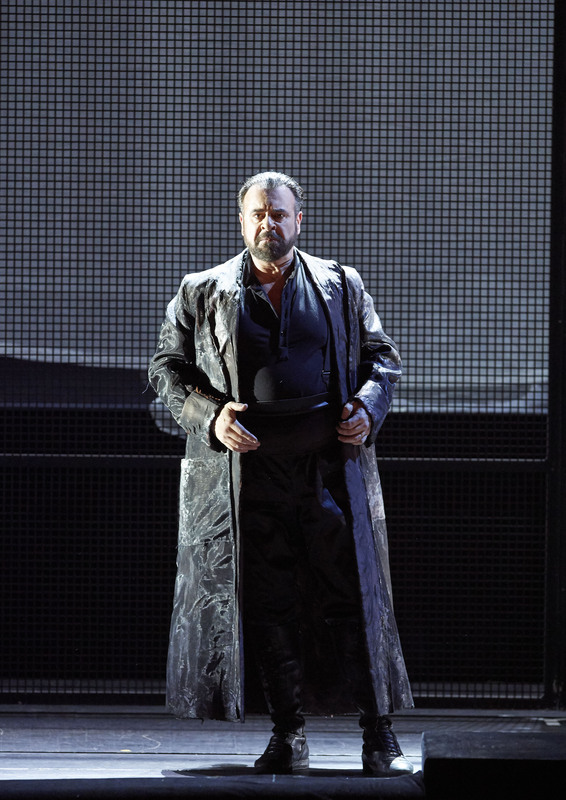 Carlos Osuna was excellent as Cassio, a masculine and warmly lyrical presence. Hacik Bayvertian made Emilia much stronger than usual, her fruity mezzo was even and coped extremely well with the awkward tessitura. Thomas Lang’s chorus was on blistering form providing a massive wall of sound in the opening scene. The sopranos also dispatched a glorious sustained high C in the Act 3 chorus. All of those awkward syncopated rhythms were brought off immaculately. In the pit there was some unfortunate cello intonation after the ‘Ave Maria’ but otherwise the strings acquitted themselves well. Marco Armiliato whipped up a storm with fabulously uninhibited playing from the brass. His was a reading full of extreme passion, big and bold yet also found intimacy for the closing scene. Tempi felt just right and he negotiated those tricky passages in Act 3 without ever allowing the tension to drop. Certainly musically, tonight’s Otello showed the Wiener Staatsoper at its very best. Superbly played and sung by the house forces it also showcased the staggering depth of talent in the house ensemble. While the production was confused and lacked narrative consistency, we were given some outstanding central performances, particularly from Álvarez’ Jago, who proved that evil really can be found in the mundane everyday. If you value the writing on this site, join the Patreon community and help support independent writing on opera. Alternatively, you can support operatraveller.com with a one-off gesture via paypal. Enter your email address to follow Operatraveller.com and receive notifications of new content by email.